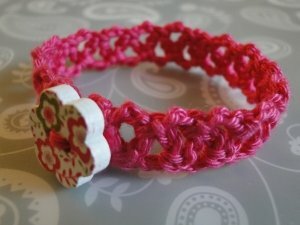 Above - bracelets worked in 100% cotton sport weight with a 3mm hook, Below - thread weight cotton yarn, with a 2mm hook. 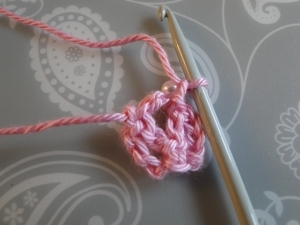 The pattern is worked in one piece, starting at the button end and working up to the button loop end. 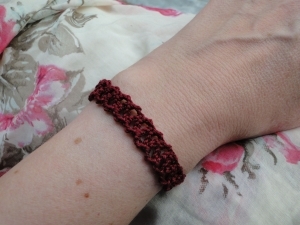 The nature of the lacy chain pattern allows the bracelet to stretch comfortably enough for you to slip it over your hand and onto your wrist, still allowing for a fairly snug fit. 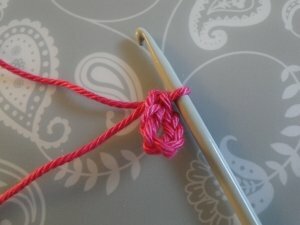 If using beads, thread your beads onto the yarn. 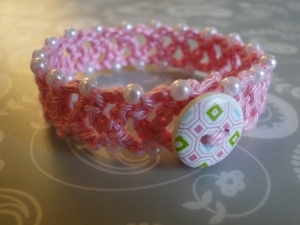 I used 36 beads, working with sport weight yarn and a 3mm hook. My wrist measurement is 6 inches or 15cm. 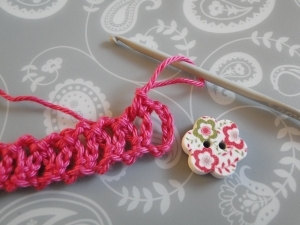 If you're not sure how many beads you'll need, work up the version without beads first. Then you can count the stitches to see how many you're likely to need. 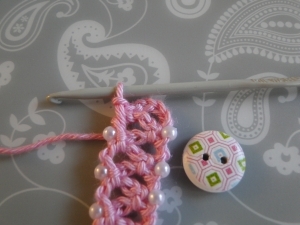 Then work from Step 1 below - you will start adding beads during Step 3. 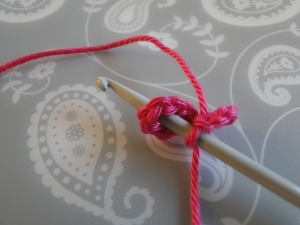 Step 1: Make a slip knot, leaving a long enough tail end to sew your button onto this end. 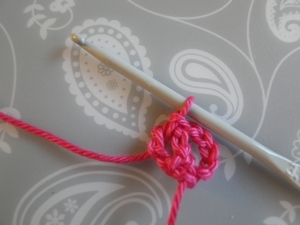 Tip: Keep your chain stitches nice and even. 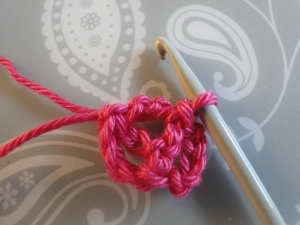 Work the slip stitch towards the far end of the space below so that it's sitting in just the right place for the turn coming up. 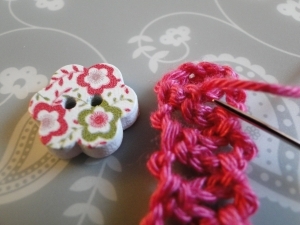 You've now made the end of the bracelet where you'll sew on your button. 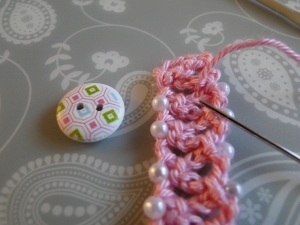 Move bead up to work. Chain 4, turn; ss into 5-ch space. Step 4: Check the fit! 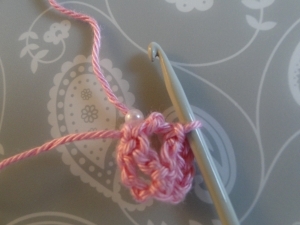 Working with my cotton, the two ends can just touch each other when I put them together. We'll put the button loop on next, which will give a bit of extra length. Step 5: Work the number of chain you need to make a loop big enough for your button to fit through. 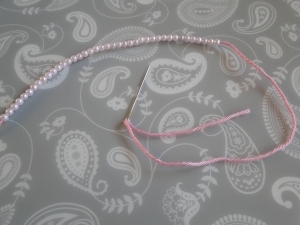 If beading, start with a bead and one chain just like before. sc (UK dc), ss into the five chain loop. Check the button fits through your loop! All OK? 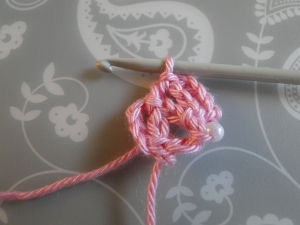 Then tie off and weave in the end. 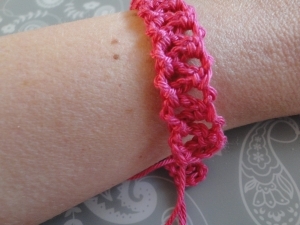 Step 6: Weave your tail end at the beginning of your bracelet to the place where you'll sew on your button. 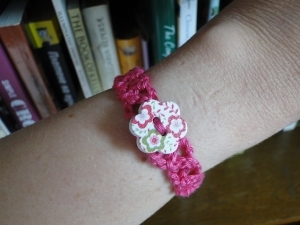 Then... settle down with your crochet books and printouts, have a cup of tea, a slice of cake - and enjoy wearing your bracelets! Don't forget to join me on Facebook - see you there!